Reem had thought long and hard before making the decision to flee Raqqa. It was just before midnight, three weeks ago, when the 19-year-old grabbed her baby girl and a few belongings, and started a journey that would soon bring them more misery. 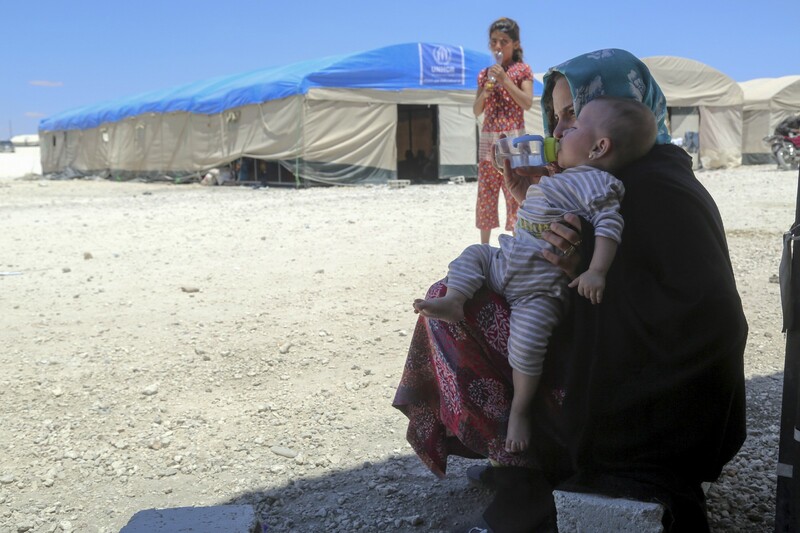 Forced to marry her cousin when she was only 16, Reem now cares for their 10-month-old daughter, Sadil, on her own after her husband abandoned them while she was pregnant. Reem and her daughter are among almost 40,000 people forced to flee their homes as fighting escalated over the past few weeks. Since November 2016, unrelenting violence in Raqqa has displaced 107,000 people, destroyed infrastructure, and shattered civilian lives. A mother helps her daughter wash her hair with a water jug. Children and their families have suffered immensely, with little in the way of relief. 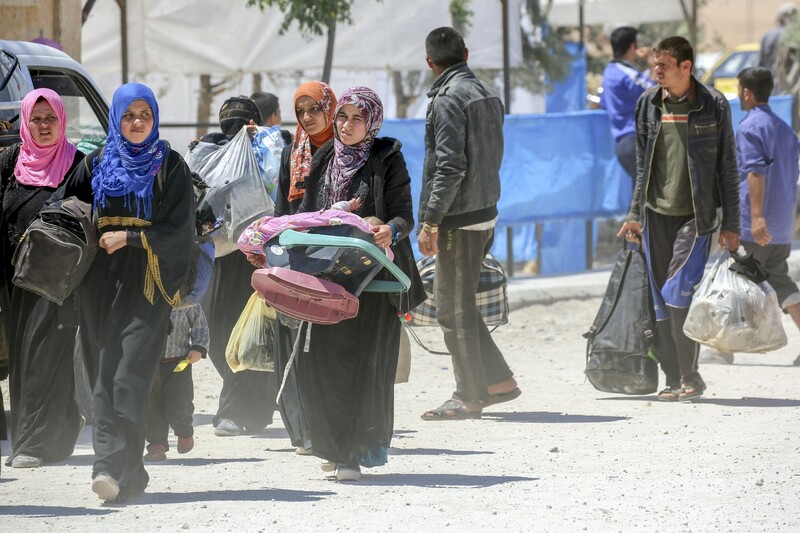 The ongoing insecurity and restrictions on movements by humanitarian agencies have meant that vital aid has been unable to get through for years. The last United Nations aid convoy to reach Raqqa was in 2013. Deprived of the most basic services, people in Raqqa have watched as the prices skyrocket for what is available. Families are seeking safety in poorly equipped temporary shelters and camps in the area. Together with a few neighbours who were also fleeing the northeastern city, Reem drove deep into the desert, travelling westwards for hours. The group stayed at a makeshift camp for two nights, before continuing on foot. The group then had to pass through a long, dark tunnel filled with water. For three hours, they walked hunching their backs, through waist-deep water. When Reem and her neighbours finally reached safety at Mabrouka camp, a temporary shelter housing 2,000 displaced families, they found harsh living conditions. For 10 days, they had limited access to food and water, and slept out in the open. Reem and her daughter lacked even a blanket to keep out the cold. 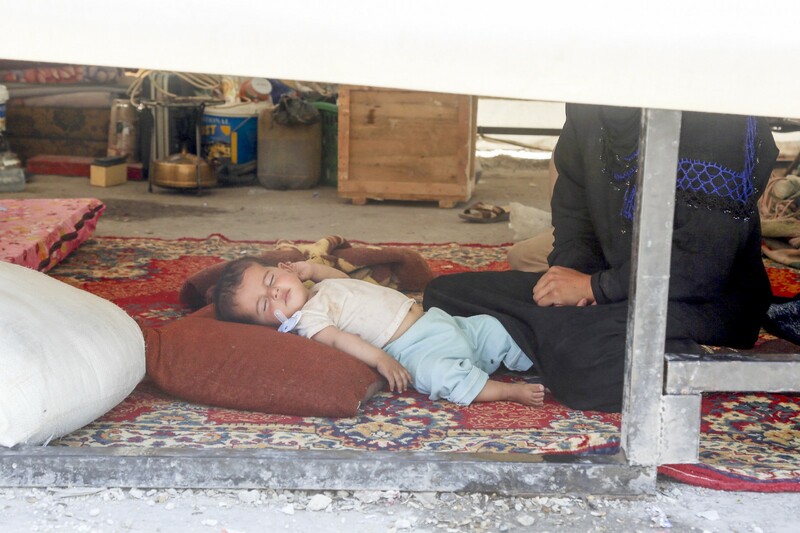 A baby sleeps in his family’s tent in Ain Issa makeshift camp, northeastern Syria. 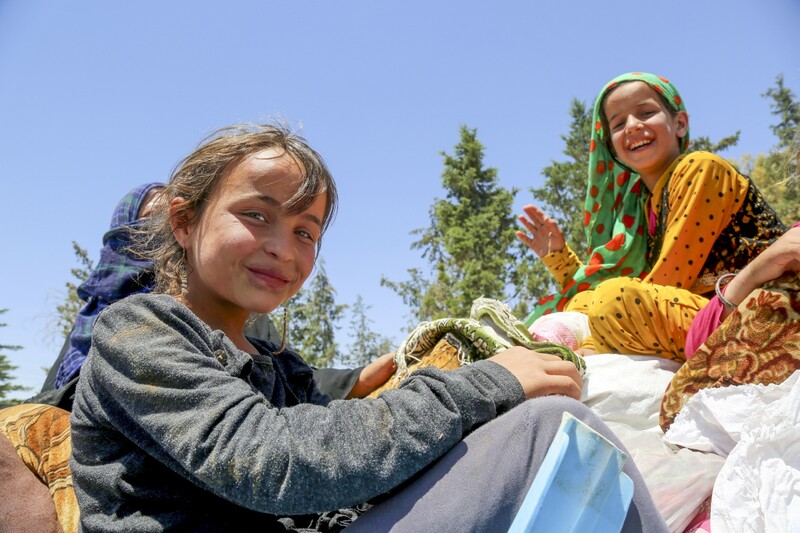 To respond to the needs of families like Reem’s, UNICEF is trucking almost a million litres of water daily to 120,000 people in camps throughout the region. Latrines, showers and water storage tanks have been installed, and hygiene kits are being distributed to protect children from waterborne diseases. Mobile clinics have been set up to provide health and nutritional care, and child-friendly spaces have also been set up to help children cope with the trauma they have faced. These efforts will help return some structure and normality into children’s lives. But Raqqa’s children and families need much more. They need to the fighting to end. They need children kept out of harm’s way at all times. And they need life-saving humanitarian assistance to be allowed through. 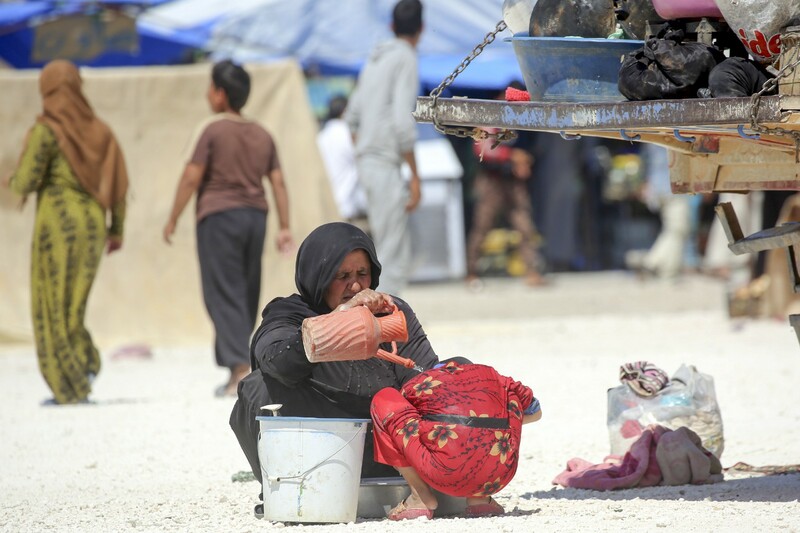 In the makeshift camp in Ain Issa, 50 km north of the city of Raqqa, more than 6,000 people live in basic conditions. Reem and baby Sadil made it to the city of Qamishli last week. Reem plans to start a new life there, away from everything she has witnessed. “I want the whole world to know how much we’ve suffered, but I also want them to know about the new life I want to start,” she says with a smile.